The LabRadar Doppler Radar Chronograph is used for measuring projectile velocity. 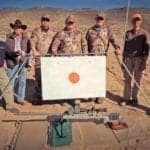 It works with handguns, rifles, shotguns, air guns, paintball, bow and arrows, and crossbows. 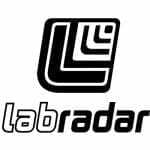 LabRadar was developed by Infinition Inc of Trois-Rivieres, Quebec, Canada.